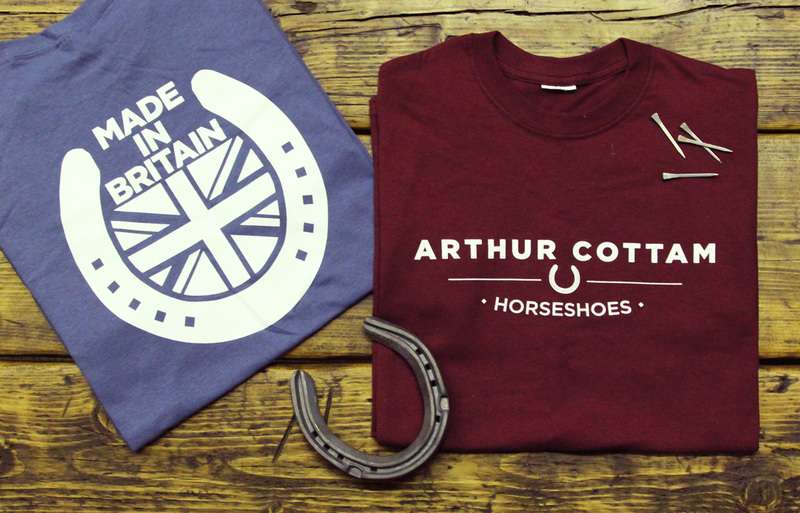 The Arthur Cottam Horseshoes logo and brand identity was created as part of a larger branding project by Tonik. 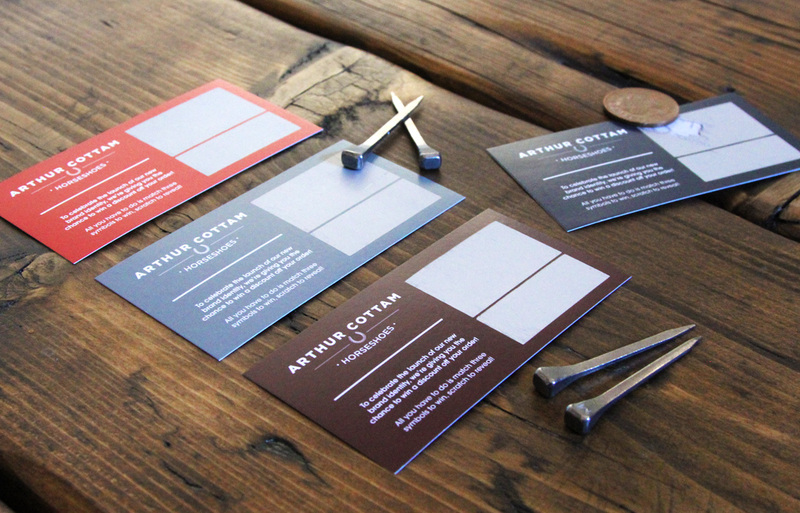 Having branded Arthur Cottam’s, Business Cards, Stationery, promotional marketing and branded workwear were needed, amongst other things. 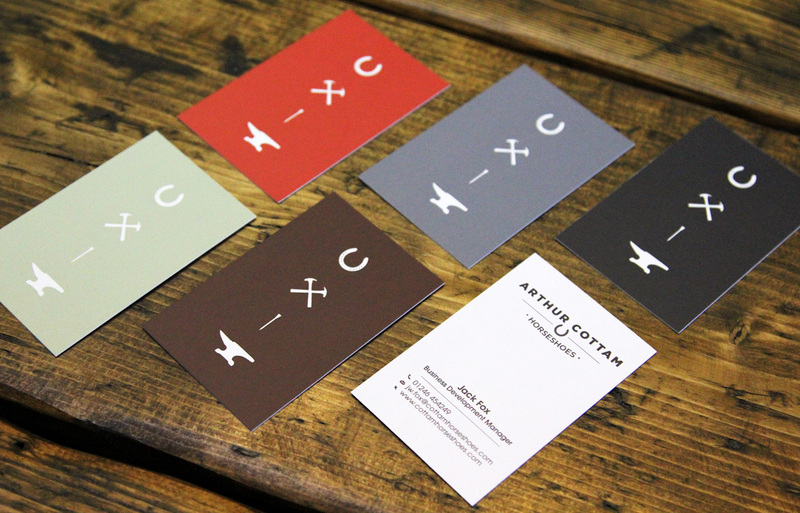 Business Cards were printed on 400gsm matt laminated board, displaying the diverse colour palette of this brand. 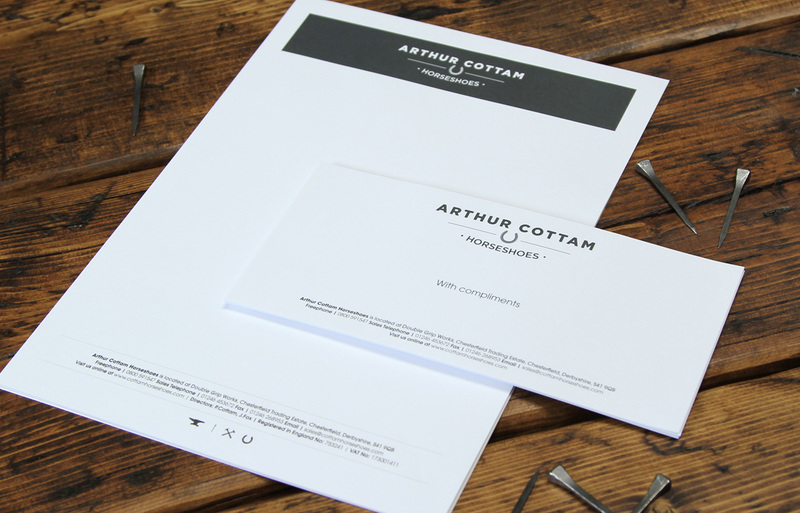 Stationery was printed on 120gsm Smooth White Laser Bond and Scratch Cards were printed as part of the new brand launch, along with Banner Stands and branded T-shirts.